Are you looking forward to Cake Against Cancer? 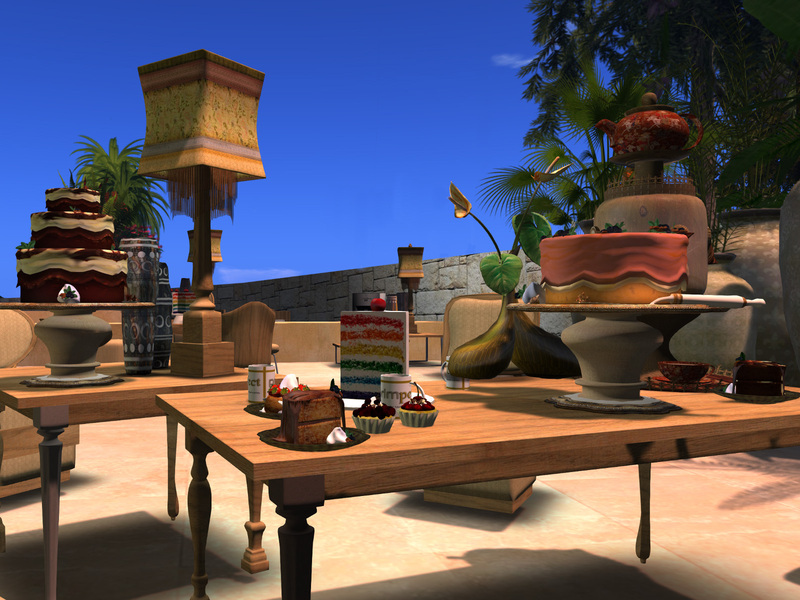 The Macmillan Coffee Morning is this Friday (27th September) when we’ll be holding a special coffee morning at the Prim Perfect Head Offices from 11am – 3pm SLT. There will be virtual coffee and cake … and fantastic music from DJs Victor1st Mornington (from 11am – 1pm) and David Abbott (1pm – 3pm). And there will be cake too … people have been sending in their recipes – and you will be able to buy these – along with a slice of virtual cake! All the money raised will go to Macmillan Cancer Support – you can also donate directly at the Prim Perfect Just Giving site (the name of the person behind the site is Saffia’s real life identity). If you’d like to contribute a cake (or a recipe) of your own – go here. And don’t miss the Coffee Morning that Metaverse TV will be holding too! 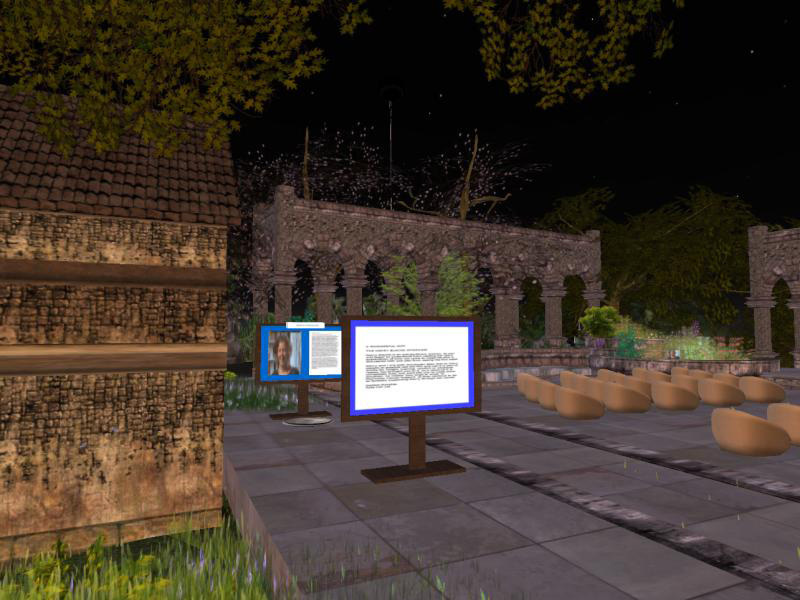 Their Coffee Morning will be held on Pearl Island, part of the Metaverse TV installation, which has been home to The Gerry Blache Virtual Project for a few months now. Entitled, “A Wonderful Gift,” a film streams in-world at the Island, in which Gerry talks about her diagnosis of cancer, her experience with the professionals, and family around her. Metaverse TV runs the film in five parts, and Pearl Island is open 24/7. It is Gerry’s wish that anyone wishing to do so would donate to the Macmillan Organization and the wonderful Macmillan Nurses. The more money raised, the more accessibility to this invaluable service that can be facilitated. A collection box is located on Pearl Island, where Metaverse TV has been been accepting donations on behalf of the Macmillan Fund. The coffee morning at Metaverse TV will start at 7am and continue until “we drop!” they promise. 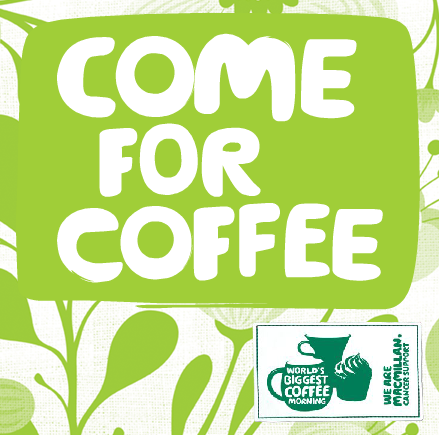 So why not take in both coffee mornings on September 27th, and support a really wonderful charity? Previous Post: See the style of the beautiful Case Study Homes on the web! Have you crashed? Am I in the wrong place? Yes, it’s tomorrow – and it will be held at the Prim Perfect Head Offices at Pointe LaRue Isle.